To put it mildly, General Motors has been struggling in India; the automaker, which markets the Chevrolet brand in the country, has posted year-over-year sales drops every month in 2015, with the most recent reported result being a 32 percent sales decline in April. In that light, General Motors has announced broad changes to its organization in India, creating new leadership positions as part of its long-term growth commitment to the Indian market. “The new appointments further strengthen our commitment to the Indian market to offer class leading vehicles along with a truly satisfying ownership experience for our esteemed customers,” said Arvind Saxena, President and Managing Director, General Motors India. Kaher, Hardeep and Jack will report to Arvind Saxena, President and Managing Director, GM India. They will be based at the company’s Gurgaon headquarters with the exception of Kaher, who will be based at the Talegaon manufacturing facility. The organizational changes also include the retirement of Vice President Of Vehicle Sales, Service, Marketing Rajesh Singh. Kaher Kazem has been appointed to the new position of Chief Operating Officer (COO) for GM India, effective August 1. In his new role, Kaher will manage the industrial side of GM India’s business. 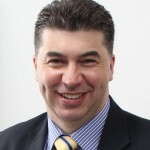 Kaher joined GM Holden in Australia in 1995 as a senior engineer. He later held several leadership positions at GM Holden Manufacturing Operations. In 2009, Kaher was appointed Vice President of Manufacturing and Quality for GM Thailand / ASEAN. Kaher has been overseeing the growth of GM Uzbekistan’s operations since 2012 as GM Uzbekistan President and Managing Director. 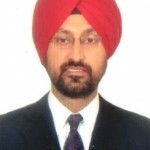 Hardeep Singh Brar has been appointed to the new position of Vice President of Sales for GM India, effective July 1. Prior to taking the job at GM India, Hardeep was with Volkswagen Group Sales India since 2012 as the head of Network and Dealer Development. Before that, Hardeep was General Manager of Institutional and Rural Sales at at Maruti Suzuki India, head of Dealer Development at DGM, and Territory Sales Manager of MSIL, among other positions. Hardeep began his professional career at Pertech Computers in 1994. 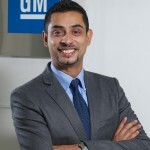 Jack Uppal has been appointed Vice for GM India, effective August 1. In his current position that he held since 2013, Jack has been assisting GM Executive Vice President and President of GMI Stefan Jacoby. Since joining GM of Canada in 2001, he has also held positions in sales, marketing, customer care, aftersales and network development in Canada and the Middle East, including Regional Network Development Manager and Regional Advertising Manager for GM Middle East Operations. In addition to the above announcements, GM also announced that Rajesh Singh, GM India Vice President of Vehicle Sales, Service and Marketing, has elected to leave the company, effective August 1. The Indian market represents a significant opportunity for General Motors and for Chevrolet. As such, this newly-appointed team has a rather difficult task ahead of it: to dig GM out of its current sales slump, and to begin earning sales and market share from the competition. Here’s to hoping that it all pans out.